DealsIn Offer valid Monday October 8, 2018 ONLY, expires at 11:59PM PST. While supplies last. Limit one BOGO per offer. Offer subject to change or cancellation without notice. Only on www.skynICELAND.com. No substitutions. 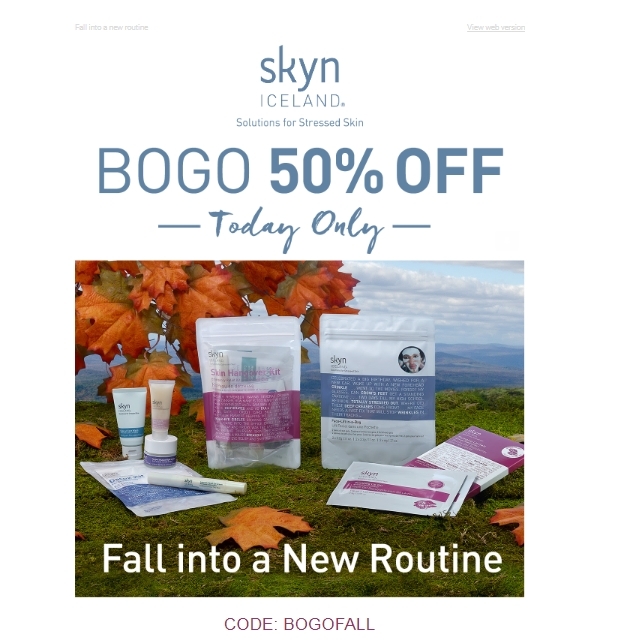 Must enter code BOGOFALL at checkout.